Let’s do this AGAIN: SWAG Saturday Metal Die Cast Delta 747 & Gogo pass giveaway! I have a few more of the the Metal Die Cast Delta 747-400’s from Gogo to give away as well as a few more of the one time domestic use Gogo passes. Gotta love FREE Gogo time! The winner this week gets a 1:400 scale Delta jet like you see above, but also 3 one-time Gogo passes (good till the end of September this year). The runner up will get 3 one-time Gogo passes as a consolation prize! The rules to play along this week are this. You can enter only ONCE this round and you must in your comment tell us your favorite RenéPoints post from last month (see here if you forgot the full list). 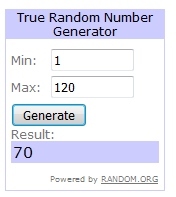 You must use a valid e-mail address and if I cannot reach you in 7 days after choosing the winner, via Random.org, I will choose another random winner(s). I will select the winner after 5PM ET on 12MARCH17. 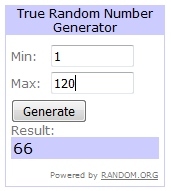 I will contact the winners Monday and get your prizes on the way! ← ALERT: When Delta Schedule Change Saturday Hits – Your Seat is at Risk of Change as well! I liked the Boeing factory tour post the best! How to get more Delta First Class Medallion Upgrades – The Definitive Guide! My favorite post was about which airport needs a sky club. The social media footprint post was pretty cool, true, and interesting! I liked the delta one JFK to lax post as I personally really enjoy the seats! I liked the post on Kiva loans with zero losses. I keep meaning to start lending and will refer back to that post for advice. Thanks. My favorite post was definitely “When Delta is always so good – The bad flights really stand out! – My “Enter the Twilight Zone” Delta flight.” because it puts things in perspective, reminding us that there is no perfect carrier. Korean meatballs, sounds tasty and look forward to trying on my next few flights. ➥ How to know for sure if you can get the 35,000 point SPG Personal & Business new card offer with 1x “lifetime” restriction. I liked the advice when participating in #TeamBoardLast and telling the gate agent, “Oh, First Class has checked in FULL…. then you wouldn’t mind if I take an “open” seat if no one is sitting there”? Classic, don’t know if I have the “ba@#s” to do it though. Definitely appreciated the overview of the 2018 Choice Benefits changes I gifted my wife Gold and will redeem Fof GUCs later. I wish you could choose 4 GUCs and 8 RUCs as two of your Diamond choices. I adored the museum of flight and dinner before FTU Seattle can’t wait for more fetes! How to get off the phone. I like the one from earlier this month when the delta outage caused delays and elite members were given 10k miles and $200 voucher. Delta emailed me shortly after your article posted. The Boeing tour post was my favorite but maybe it’s because I was there. Great time and great reviews of the tours! Plaza Priority Pass Lounge at HKG. My favorite was the Boeing Factory Tour post because I’ve been on this tour, and it was so amazing! ➥ TODAY I gifted 15,000 Delta MQMs to a friend and you can do this too (or keep them maybe)! Your update on your Kiva loan strategy was great! Lots of good info in your blogs. Oh definitely the one on Kiva – I love those guys! I think Uber (and also Ubereats) are changing our world for the better and will say that’s my favorite post. Seeing the self driving cars in Phoenix was pretty cool, too. I liked the info about the authorized users and carrying the card with you. Its something I never would have thought of but good to know for the future! I’ve been thinking about funding Kiva loans, so appreciated your experience. Thanks! The Feb. 22 post about the upgrades to the main Delta lounge at MSP, which interested me because I had just been there during the construction phase and was going back there five days after your post. We spent an hour in the lounge Feb. 27, and although it was crowded found it a solid improvement. When it’s that crowded though, I’ll probably opt for the Escape Lounge, especially now with the free guests via Amex Plat. Enjoy your blog. I liked the Boeing factory tour post the best. I really enjoyed the “➥ How to get more Delta First Class Medallion Upgrades”. I hope to take a mileage run with you in the future! The one about the airports without Skyclubs. PHX really needs one! Kiva loans with zero losses! Rene, so many good articles every month. Of the several I would choose from, the discussion on Skyclub locations was my favorite, hope they take the feedback for future consideration..heck, maybe next time I fly through FSD, DL will be trying an ultra-new-concept micro-skyclub: k-cup brewer and basket of Biscoffs for “members only” behind the gate desk, LOL. I love the Delta Saturday schedule change post! Your seat is in Danger again! I found your post about the Plaza Premium Priority Pass Lounge at HKG great, since I’ll be flying through HKG soon! When Delta is good, bad flights stand out. My favorite: What City or Airport is MOST in need of or is missing a Delta Sky Club? 2018 medallion changes. Great for a diamond to know!! Is the Delta One JFK to LAX really competitive? Is it a premium product / experience / seat anymore? How to get off the off the phone line. Thats a creative one. 2018 Delta Medallion Choice Benefits. By far, most enjoyed reading about the Boeing museum. My favourite post was about the DL app and its stuck offline mode. Even though i fly with VS i’m glad i’m not the only one having problems! My favorite post was the one about which airport is most in need of a Delta lounge, because you gave Fort Myers as an option and Fort Myers rarely gets the love! I’d like to see Delta make more of a commitment to that airport – – they are finally, slowly starting to bring back nonstop flights between Boston and Fort Myers like they used to have. Only on the weekends so far, but that’s a start! 2018 Medallion changes! Talk about​ game changer! “A few updates to my, and readers, Delta Medallion 2018 Choice Benefit changes questions. Interesting!” because you can’t really get that info in one place (Or at all) from Delta! Loved the Boeing Factory tour post I really want to see that. Thanks Rene. You are really awesome. I liked the Boeing factory tour post the best, with nice pics. Seat change! I always forget to check this and, one time in particular, a similar article appeared just in time to help me out. Thanks! Choosing new Delta Diamond Medallion Choices Benefits 2018. Change to Sky Club confused me until you explained. The best post was (and will always be) about the Delta Change Rule. The Rule is as good as a Choice Benefit! My favorite? How to get more Delta First Class Medallion Upgrades – The Definitive Guide! The post on the Twilight Zone of bad flights. Mainly to be reminded that they do happen, because I have so few of them. I liked the Hong Kong lounge report. All great but the choice benefit review. I like the article about trying Uber treatS!! My favorite post this month is the one on Unique Delta Travel Tips. Because for the first time ever in my working career I’ve reached silver elite status, and I’m interested in maintaining/improving it. However, my second favorite is the one about being Swedish. I’m 1/4 Swedish, and only was able to answer two questions correctly (pancakes and summer house). Enjoying reading your posts. Thanks. I enjoyed the article on the Boeing Factory Tour and Museum of Flight. My favourite post was actually your post about your visit to the GoGo office. I really want to go now! I would love to see their airplane display in person! I liked the Swedish quiz for a change of pace. My favorite post this month is a hard one probably choosing the right medallion benefits or the Korean meatballs post I’ve been wanting to try this and it looks good enough to me to go for it next time it’s offered! My favorite was printing the boarding pass and I just passed that tip on last night. Good stuff. Hey Rene, I was (and am) most excited about the 2018 Diamond Medallion Choice Benefit incease!! I am really trying this year!! Keep those MSP mileage runs coming!! Thanks! I liked: How to get more Delta First Class Medallion Upgrades – The Definitive Guide! The post about the Boeing Factory tour! Feb 26: Boeing Factory Tour & Museum of Flight Tour! LOVE aviation! Have taken Boeing Tour, Airbus Tour (Toulouse) and booked an upcoming RT flight DL DWT-ICN seat 77K to ride that bird before she retires in 2017! I really enjoyed and continue to revisit the February 1st blog post about choosing Diamond benefits in 2018. I think I have OCD when it comes to choosing those! Your advice is very helpful in deciding. I liked the hotel nits post, and added a few of mine. I liked “what does Delta owe you…” post. I always enjoy reading about “What does Delta owe” to be prepared to extract maximum value due to a delay. I love the giveaways! Especially last weeks (and this weeks) 747 model and gogo! 2018 Delta Medallion change policies Thanks so much! Boeing but i missed this as i was traveling on saturday..lost a few time zonss and the hour! !